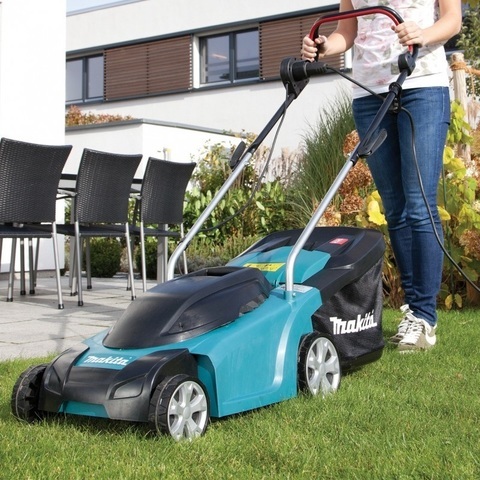 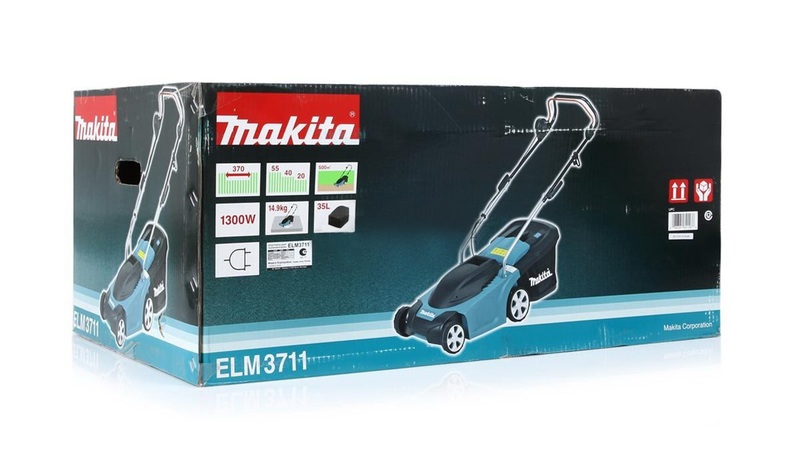 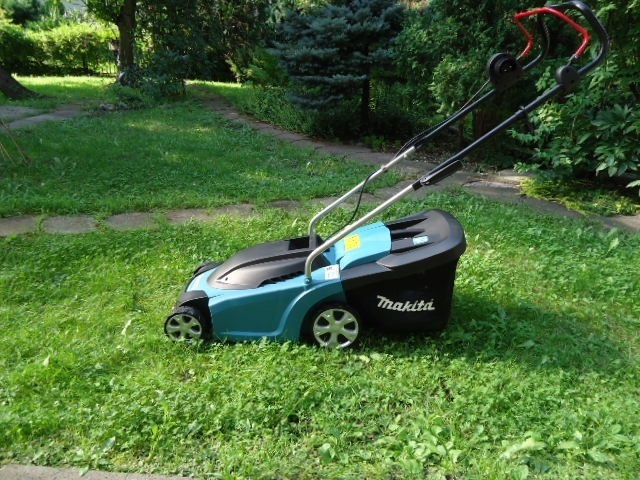 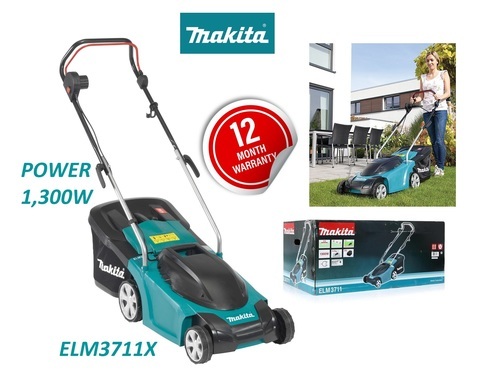 Makita ELM3711X (14-1/2") 37cm Electric Lawn Mower.. The Makita ELM3711X has a 1,300 W motor and a cutting width of 37 cm. Cutting height can be adjusted in three stages, from 20 mm to 55 mm. 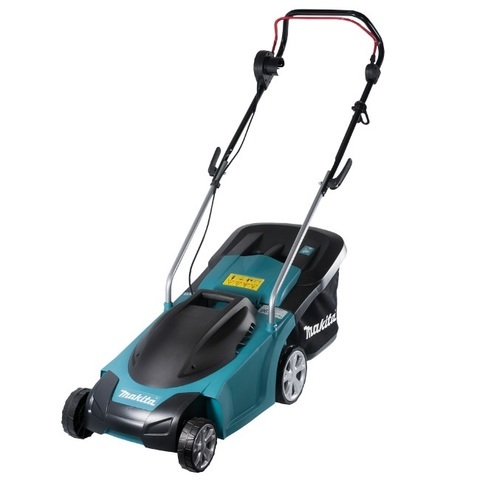 The wheels are tucked under body to enhance performance and to cut grass close to fences, curbs, walls etc. 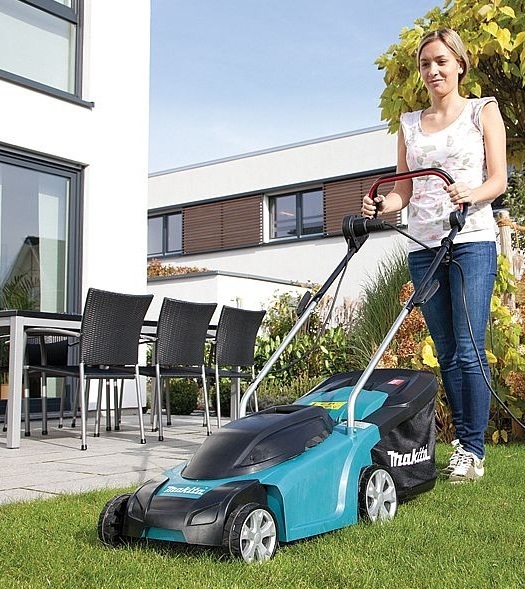 It has a solid, UV resistant polypropylene housing, metallic silver powder-coated wheels to give a high-grade impression. The lawnmower is silent and without emission. 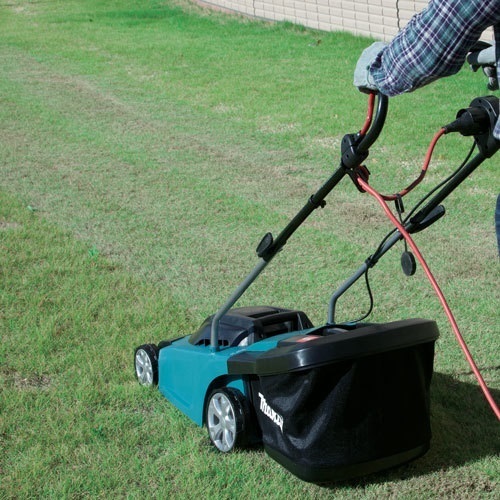 The grass catcher mounting for easy discharging and grass level indicator on the top for finding whether grass catcher is full. 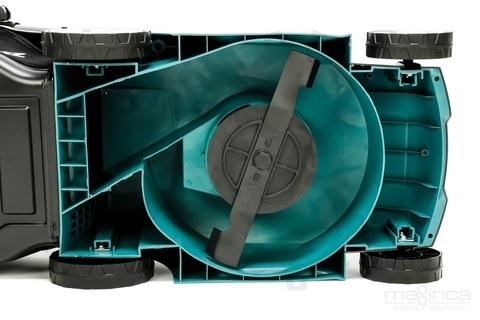 Collection box capacity 35 Litres. 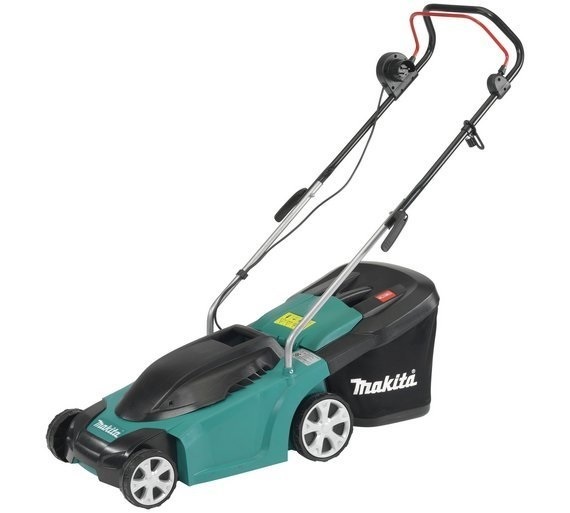 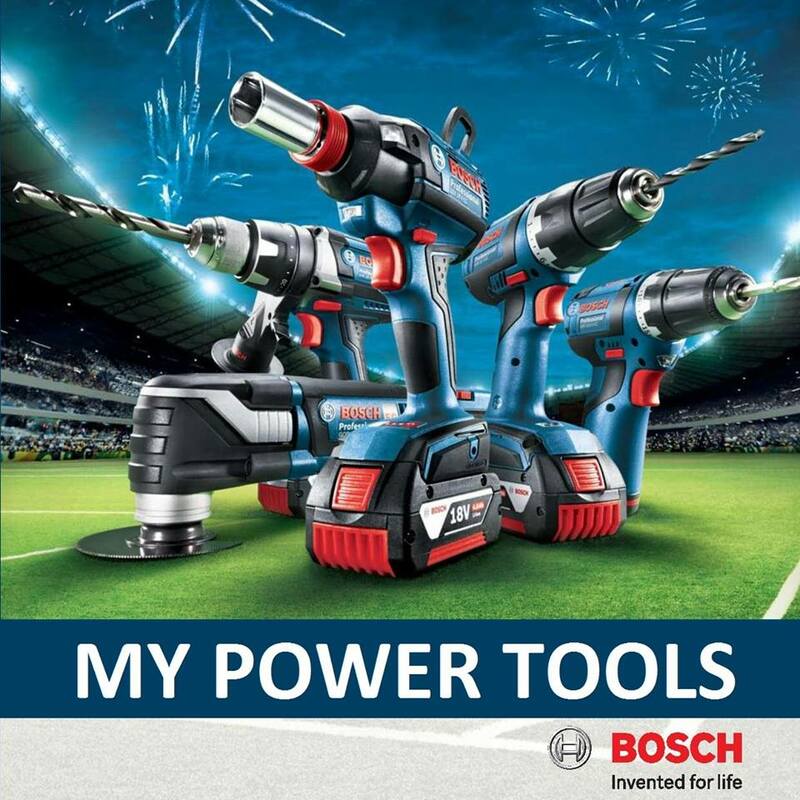 recommended for the smaller lawn up to 500 square m.
PRICE RM820.00..(Makita most reliable power tools in the industry)..